BF10 Strength, compression of up to 60 kgs. 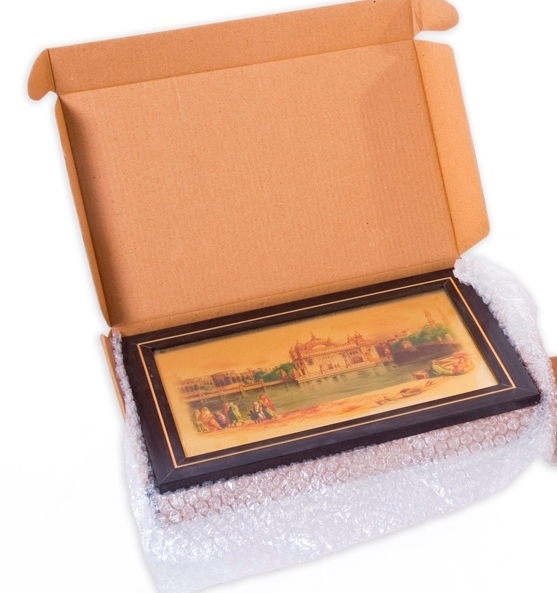 If you store, ship or move medium or large sized flat items, you definitely need these brown flat boxes. They are perfectly shaped to accommodate - flat, square or rectangle items and keep them safe until they are opened. Now no more squeezing in all type of goods in the same packaging boxes, to ensure the safety of the products and maintain efficiency we need to pack them in properly shaped boxes. These boxes are robust enough to hold everything in a safe manner inside and we provide them at really great prices. These brown boxes are convenient to hold and are around 30% stronger than competing boxes we get in the market. So we don’t have to worry about the safety of the goods inside. They work best when we need to store or move medium to large sized flat objects from one place to another. These flat boxes are perfect for moving around goods in warehouses, supermarkets and offices. They are of extremely great quality and come with 3 Ply, 5 Ply or 7 Ply box variants depending upon the box size you choose. The higher the number of plies, the stronger the boxes are. They can handle a compression of up to 60 kg and the strength specification of these boxes is BF10. This will make sure they can bear a good amount of roughness during transit. Also, these boxes have nothing printed upon them initially and you can attach labels or stickers to display crucial information. The best part about these boxes is that they are completely eco-friendly and the boxes in any way don't harm the nature like other plastic packaging materials. 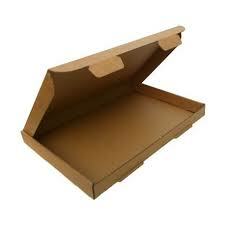 To get a huge variety of sizes for brown flat boxes, choose to buy them online from DCGpac. DCGpac is the largest online supplier of packaging materials and offers great quality for all the products. Get these brown flat boxes at really low prices from DCGpac. You can order it online for getting it quickly delivered at your doorstep and save your money too.